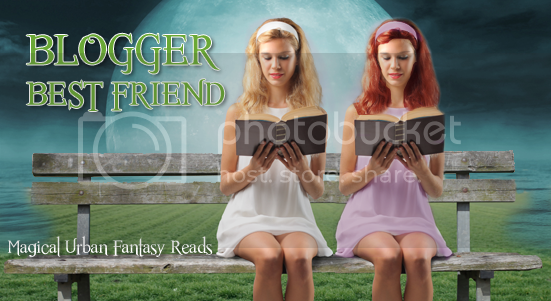 This week on my Blogger Best Friend Friday Feature, I’m featuring Patricia from Two Chicks on Books! Patricia from Two Chicks on Books is another blogger I can proudly call one of my blogger best friends. But Patricia is a little social media shy, so I really didn’t even begin to get to know her until she, Jaime (the second half from Two Chicks on Books) and I carpooled to the Melissa Marr signing in San Francisco back in June of last year! We had a great time and I also discovered that Patricia and I have very similar taste in books. Since that first road trip, Patricia and I have attended a few other signings, we’ve met up for lunch, and she even came over to my house last Thursday for book club! I actually ended up feeling a little bad for inviting Patricia for book club on a Thursday, because she missed The Vampire Diaries and The Secret Circle! Sorry Patricia! Patricia is very sweet, I feel like I can tell her anything, and I truly trust her like a best friend. I truly realized that I was more than lucky to have her as my BBF when she sent me a very thoughtful gift with a very sweet, sincere and very personal message for Christmas. I’m pretty sure I even cried a little bit. It is one of those types of gifts that are so special and personal that you wouldn’t want to share it with anyone. If you can already call Patricia your blogger best friend, you too are very lucky. Check back next week for my next Blogger Best Friend Friday Feature! oh-em-zee, you just made me cry. I totes love ya!! I am going to cherish this post forever and when I need a pick-me-up I will read it. THANK YOU SO MUCH FRIEND!! No worries of course about Thursday ;) I need to get one of those DVR thingys. lol. Haha you so do P! I love this Mindy Patricia is the absolute best and I couldn't have asked for a better partner or friend! What a nice post! Patricia is such a sweetie! That is so sweet. I'm hoping one day to meet Patricia. What a great post. It's very sweet and heart-warming.